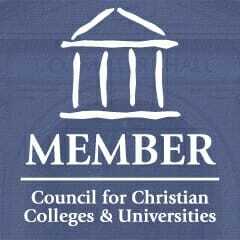 If you’re looking for information about Christian colleges, you may have come across the Council for Christian Colleges and Universities. The CCCU is a non-profit association of educational institutions that is, according to its mission statement, committed to advancing “the cause of Christ-centered higher education.” Their main work is to help their member and affiliate institutions find ways to do just that. The CCCU is headquartered in Washington, D.C. Their membership is made up of 181 Christian institutions, 121 of which are members located in North America, with the remaining 60 affiliate members located all around the world in 19 different countries, including Australia, Bolivia, Haiti, Japan and Uganda. All of the North American members are accredited colleges and universities who offer comprehensive studies in the arts and sciences to undergraduates. Not every religiously affiliated institution of higher learning belongs to the CCCU, but all of their member campuses are “intentionally” Christian. This means that all members who apply and are accepted into the CCCU must meet several criteria. Some of these include having a Christian mission statement, integrating Biblical faith into their scholarship, hiring Christian teachers and administrators and being financially accountable to the Evangelical Council for Financial Accountability. The CCCU is a fairly large organization whose employees and volunteers provide support services of all kinds to faculty, students and administrators in the Christian colleges and universities that make up their membership. The services they offer encompass a wide range of things from advisory work with college boards to input, assistance and development in communications, professional development and research, finance, administration and student programs. For instance, they provide all kinds of services to faculty, such as networking grants to promote collaborative scholarship among teachers at different universities as well as scholarships for sabbatical retreats. They also provide interdisciplinary seminars and conferences that help faculty to stay updated on topics and pedagogy that will enhance the way they integrate Biblical faith with scholarship in the classroom. They also host a quadrennial International Forum on Christian Higher Education and an annual conference for the presidents of their member and affiliate colleges and universities. Their student programs include “BestSemester,” which offers students 12 different opportunities for studying off-campus or even abroad for a semester of their college studies. These include what they term “culture-shaping” semesters at places like the Los Angeles Film Center, the Contemporary Music Center in Nashville and the American Studies Program in Washington, DC. They also include “culture-crossing” semesters which offer students the chance to study abroad in places as diverse as China, India, Costa Rica, Israel and Oxford, England. If you are interested in attending or working at a Christian college or university that has this kind support as well as many opportunities for networking with other like-minded schools in the U.S. and around the world, it could be a good idea to look over the CCCU membership list. You can find it and much more information at the website of the Council for Christian Colleges and Universities.